We already know that humans are depleting vital groundwater resources across the globe. But a new study shows one of the biggest causes of disappearing groundwater is the international food trade. About 70 percent of freshwater around the globe goes toward irrigation. Researchers from the University College London and NASA’s Goddard Institute of Space Studies now say that a third of that freshwater is drawn from the world’s aquifers — nonrenewable underground pockets of groundwater — and 11 percent of that nonrenewable groundwater is used to irrigate internationally-traded crops. When water is used to grow crops, it’s no longer visible to the consumer. This study keeps track of where this ‘hidden’ water is embedded and where it ends up. To measure how irrigation drains global aquifers, International Institute for Applied Systems Analysis hydrologist and study co-author Yoshihide Wada used an in-house model that essentially places a computerized grid over the Earth and then measures soil moisture, along with water exchange between the atmosphere, soil layers and the underlying groundwater reservoirs, to see where water was going and why. He validated his calculations by comparing them with satellite measurements that track water flow and underground water storage. Meanwhile, Dalin gathered information on global trade and irrigation rates. By combining the information, they could determine how much groundwater was sapped by the agriculture required for the international food supply. Rice used 29 percent of the groundwater intended for international food crops, topping the study’s list, followed by wheat (12 percent), cotton (11 percent), maize (4 percent) and soybeans (3 percent). Citrus and sugar crops used about 5 percent each. Who will be hit the hardest? Countries that export the largest number of these crops, those that import a substantial amount of their food and those that both export and import these crops, the study says. 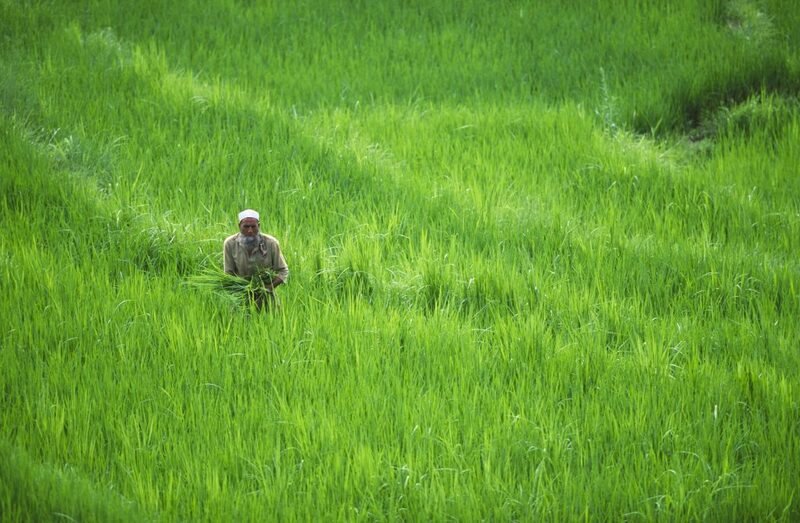 Pakistan, the United States and India, for example, account for two-thirds of all exported crops irrigated with nonrenewable groundwater. Depletion of this water resource would impede efforts to export crops at their current levels. Countries in arid and semi-arid regions that rely heavily on imported goods — like Iraq, Iran, Saudi Arabia and Kuwait — would have the most difficulty getting access to food should groundwater run out and potentially create a global food shortage. 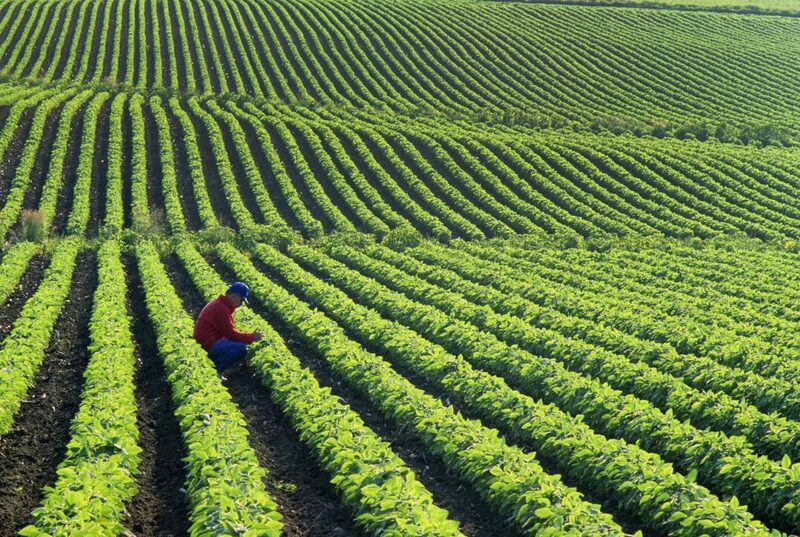 In other scenarios, countries such as the U.S., China, Mexico and Iran, all major food producers and importers, would take a hit both in the amount of food they can produce as well as in a drop in the global food supply. U.S. exports to China, Mexico and Japan — largely cotton, wheat, maize and soybeans — are depleting most of the country’s groundwater supply for crops. 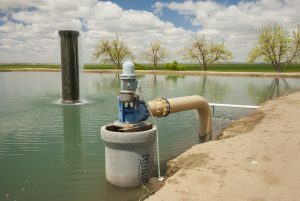 Dalin and Wada, along with colleagues from NASA’s Goddard Institute of Space Studies in New York City and the Senckenberg Biodiversity and Climate Research Centre in Germany, found nonrenewable groundwater was also being extracted at a much higher rate in 2010 than it was just 10 years earlier. Dalin predicts farmers could lose their jobs, nations could face food shortages and economies could suffer if these trends continue. “I think we’re headed to major threats to food security,” Famiglietti told the NewsHour. Keeping track of water resources used for tradable goods can improve water sustainability and food production, as populations continue to grow and drought frequency rises. “These virtual flows of water are going to become more and more important as population grows and certain regions don’t have enough water to grow food,” Famiglietti said. Some regions have attempted to tackle the groundwater problem, but nothing is being done on a global scale, Famiglietti said. There are a number of barriers to doing so. “It’s not just how much water we have and how much we’re using, but it’s, ‘Who’s got the rights? What are the policies?’ And we don’t manage the surface water and the groundwater together – we treat them like they’re completely separate, which they’re not,” Famiglietti said. California, which recently came out of a years-long drought, is addressing the problem locally, albeit slowly, Famiglietti said. The state passed a Sustainable Groundwater Management Act in 2014 that divides the state into different groundwater management agencies. Each agency now has five years to create and implement 20-year sustainability plans. “The whole process is about 27 years, so [it will take until] about 2042 to really understand where we’re at with groundwater,” Famiglietti, who is also an appointed member of the California State Water Boards, said. That’s a little slow, “but at least it’s there,” he added. Kansas is also addressing concerns about its High Plains aquifer, which provides about 70 percent of the water Kansans use each day. 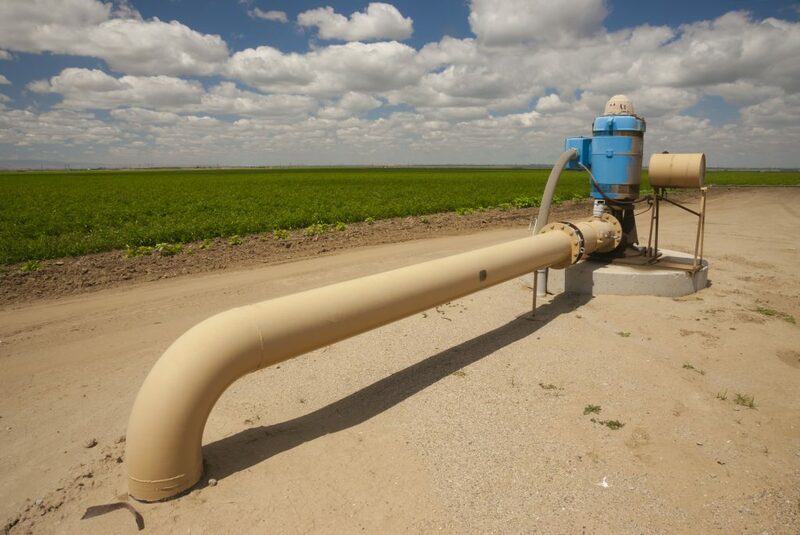 Water management officials in Kansas have placed flow meters on 99 percent of the irrigation wells that pull water from the aquifer as a way to measure the amount of liquid that passes through. This data helps scientists who study the groundwater levels. “The key to the Kansas situation is the data, because you can’t really manage what you don’t know,” Jim Butler, a senior scientist at the Kansas Geological Survey, said. In addition to the data collection, a group of farmers in a small 99-square mile area of northwestern Kansas agreed to reduce the their groundwater crop rate by 20 percent through a grassroots generated program called Local Enhanced Management Areas (LEMA). By changing their irrigation and farming strategies, they have used less water while maintaining their bottom lines. Now in its fifth irrigation season with these new protocols, the group has hit the 20 percent reduction mark each year.